I think too often, we approach accessories as items we can easily interchange. Magazines and fashion blogs are constantly pushing people to buy a variety of different accessories, just so they can wear one color or fabric on a given day, and something completely different the next day. Think wristbands, or watches. Sunglasses and scarves. Changing between different types day by day. Well today, I feel the need to say quite the opposite of all these magazines and fashion blogs. Personally, I'm a fan of a person who consistently wears the same accessories, and ultimately, through repetition, really makes them his own. I'll give you an example. Ever since I was a little kid, my father wore the same wrist watch day in and day out. This accessory of his became a small, but tangible part of who he was to me. 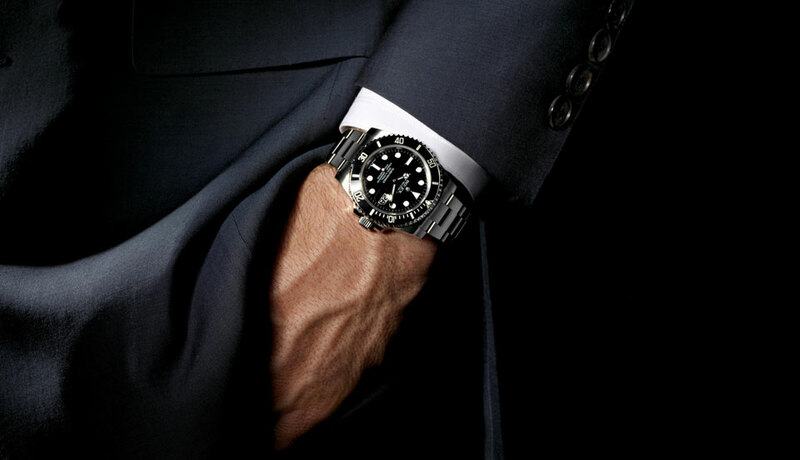 If I saw him without his watch anytime our family went out somewhere, something was definitely a little weird. One of my roommates is another example. He wears one pair of sunglasses, and hasn't even thought about getting another. "I have one that looks and works well, what's the point of getting another one?" I kind of agree. Anyhow, I think it's refreshing to see a person wear their tried and true accessories over and over again, without making any changes. As long as they're confidently worn, and out of your choice. 1. Sunglasses. When I think Tom Cruise, I think Ray-Ban aviator. Him wearing another pair (which I'm sure he does) just doesn't seem right. 2. Eyeglasses. One of my buddies alternates between two glasses. However, he used to wear just one type before. I like his image wearing just the original pair. 3. Watches. I personally have two watches I'd like to rotate between, but there's something really cool about someone who just wears one watch everyday. As long as it's relatively conservative in appearance, why not? 4. Wallet. Don't really see the point of alternating between a bunch of wallets since it's in your pocket most of the time. 5. Keychain. Same argument as wallet. Sure, some people like to rotate between different types out of each of these accessories because it can be boring to have the same one all the time. I don't disagree with you! Nonetheless, I'm saying there is some virtue to just having one. My suggestion is to get a worthwhile, high quality version of each of these accessories, and stick with just one of them. People will associate the accessory with you, and there will be a sentimental aspect to that said accessory over time. Plus it makes your life simpler. You'll be a simpler man. Yep I went there.